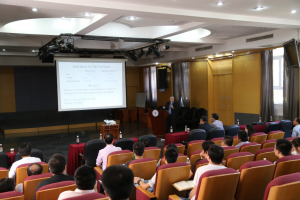 2017 BICTAM Master Lecture on Mechanics Series Program started from September 11th to September 15th, 2017. 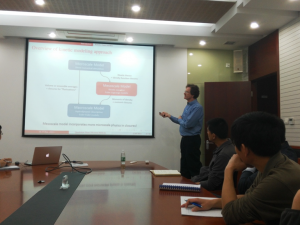 Professor Daniel Weihs from Israel Institute of Technology was invited to visit BICTAM. 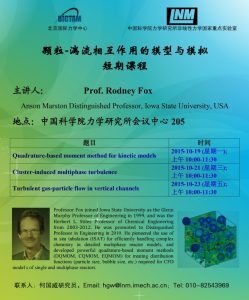 Professor Rodney Fox from the Iowa State University, USA, visited the BICTAM and gave three seminars on modeling and simulation of two-phase turbulent flows from Oct. 16 to Oct. 26, 2015. 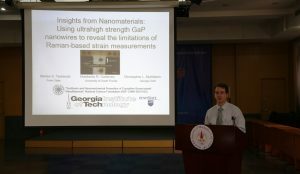 Nearly 40 participants including research specialist, graduate students from all over the country attended the short course.